What’s the Project? 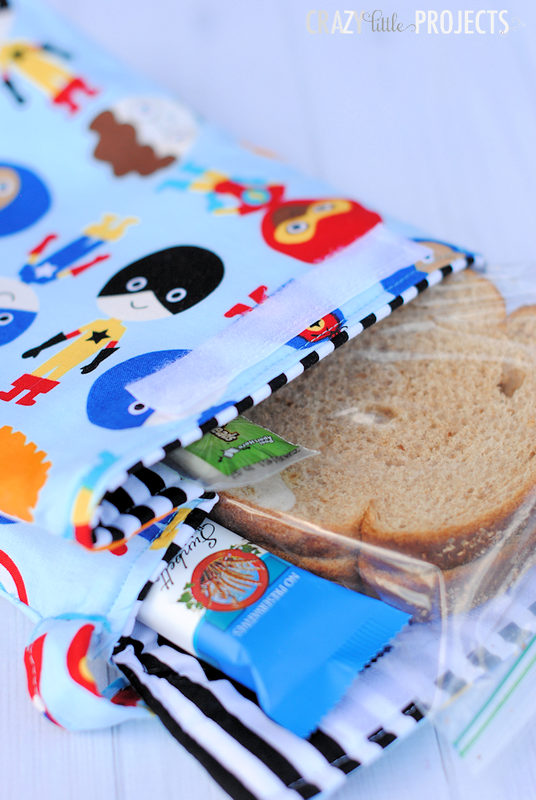 This cute kid’s lunch bag pattern is insulated to keep the lunch cool while your kids head to school. 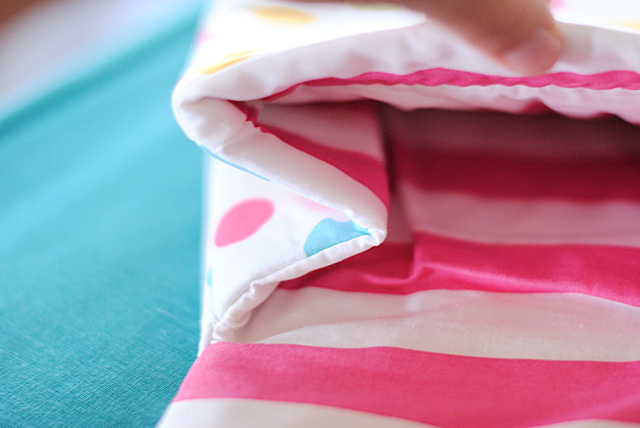 An easy pattern to follow and it turns out so cute! Your kids will love it! 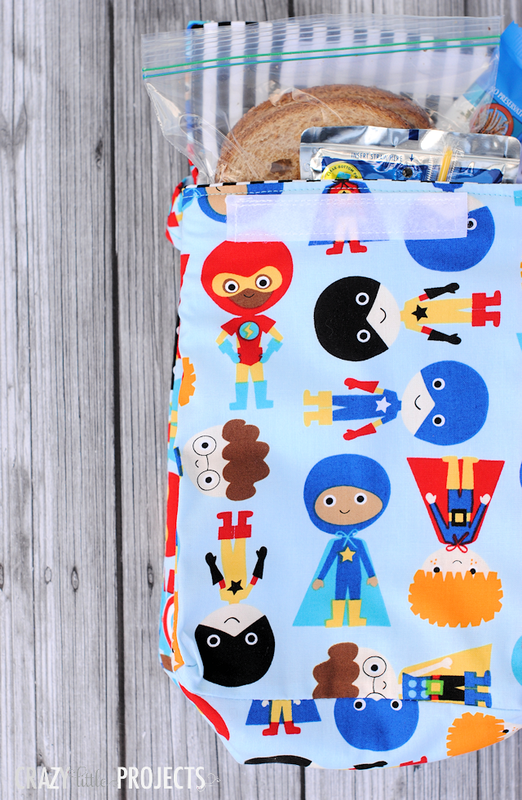 Today I have a darling little kids insulated lunch bag pattern and tutorial to sew. 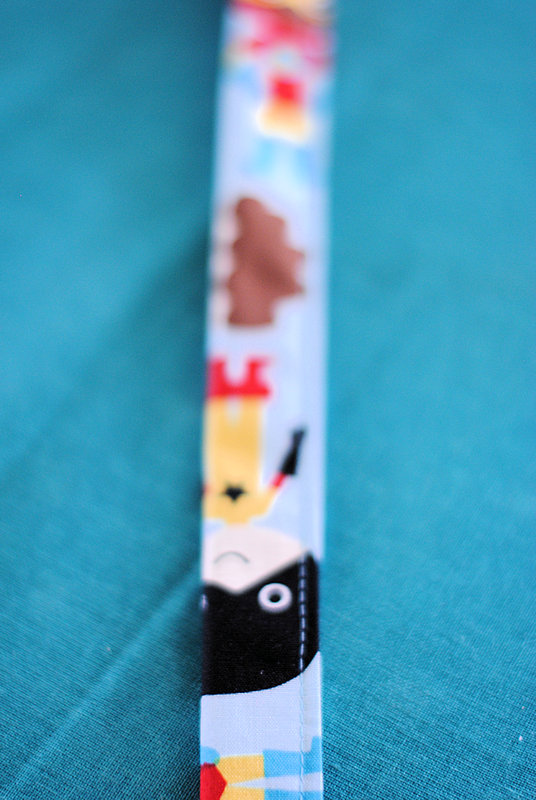 It’s fairly simple to sew and turns out really cute! Like I just keep looking at it because I am so in love with it! 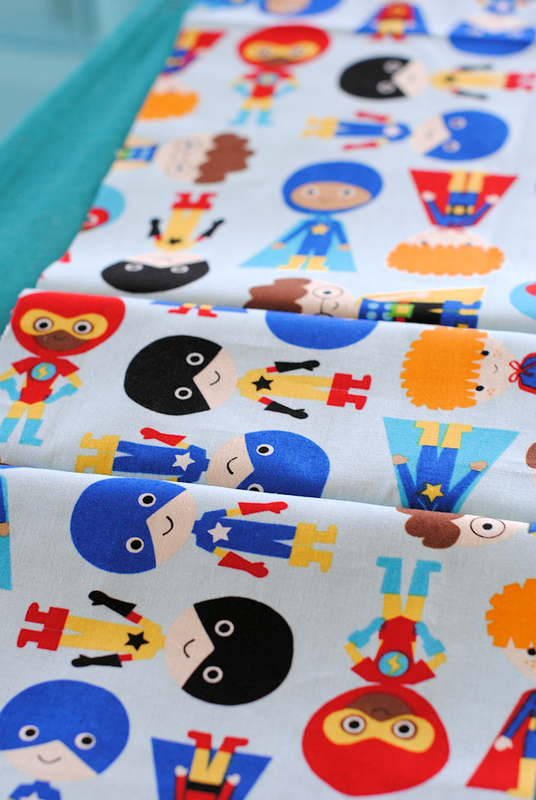 And isn’t this fabric fantastic!? I am a little bit in love with these! Aren’t they cute?! Wait, I already said that earlier didn’t I? It should fit a good size lunch for the kiddos and it is insulated. Throw an icepack in there and you should be good to go! Turn it right side out and press it flat. 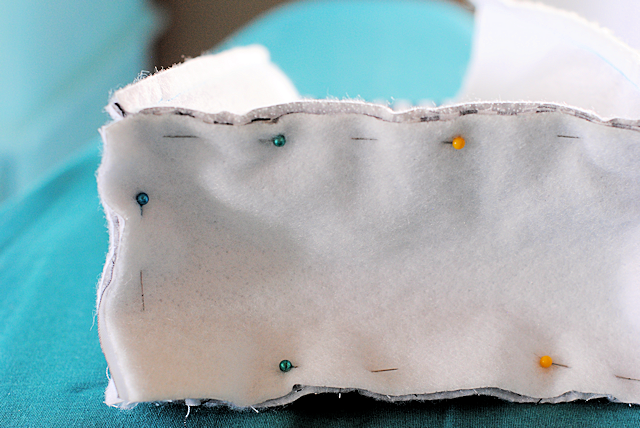 Then sew the second side piece to each of the front and back pieces in the same way. You are going to do all of this now with your inner fabric AND your thermal fabric. 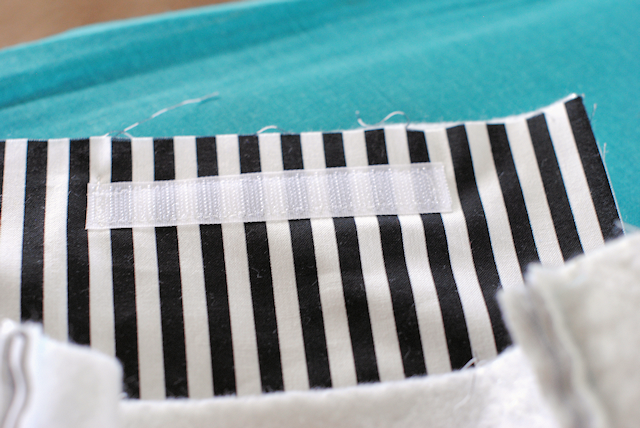 Simply place the thermal interfacing on the back of the inner fabric and sew it in place with it as you follow the above steps. Then carefully sew that in place. Then sew those in place. Now you are going to pin it so that the sides of the outer and inner match up as well as the front and back. 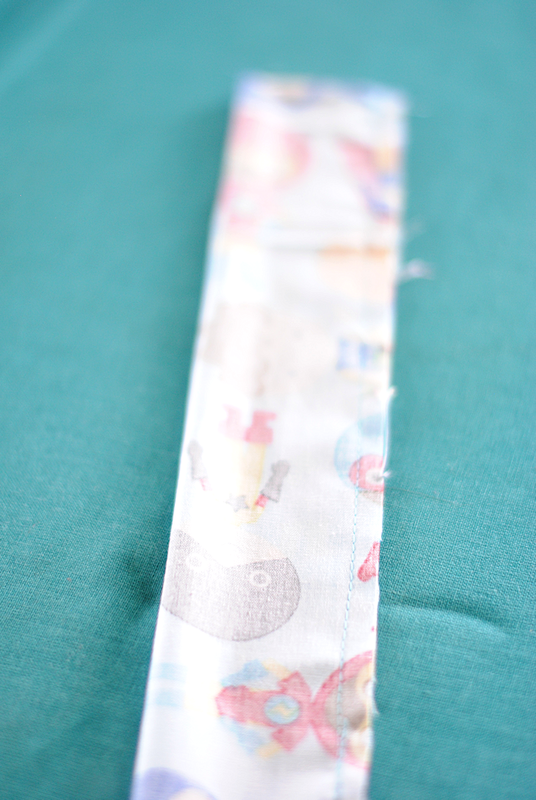 Then you will sew beginning at flap. 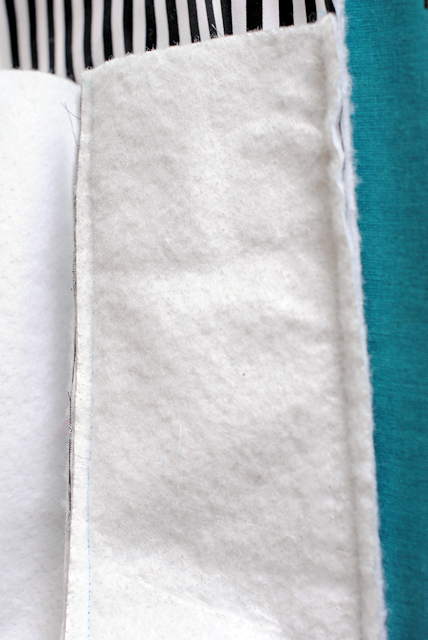 At the top, left side of the flap sew down the side of the flap, then turn and go across the side of the lunch box, across the front, and then up the other side and flap LEAVING THE TOP OF THE FLAP OPEN. I have a video tutorial of this, but it’s from the messenger bag tutorial. It’s the same concept though, so if you need a better visual of this, try this video tutorial here. Now, reach inside and pull the inside out and turn it all right side out and get it tucked in how it should be. Now you will need to do lots of pressing to get it all nice and flat. 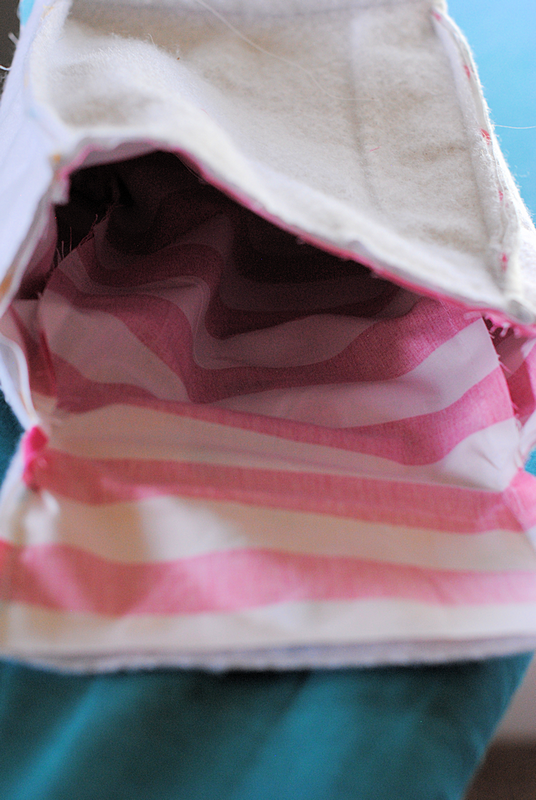 Fold the top of the flap inward (so that each of the fabrics is tucked inside) and sew that part shut. And now you are done! 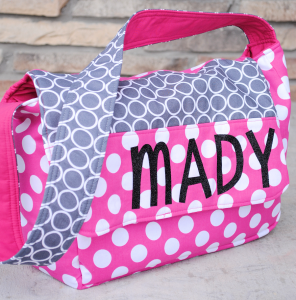 Hope you love this cute lunch bag pattern. What a great tutorial and I just love the fabrics! So cute! Just clarify. 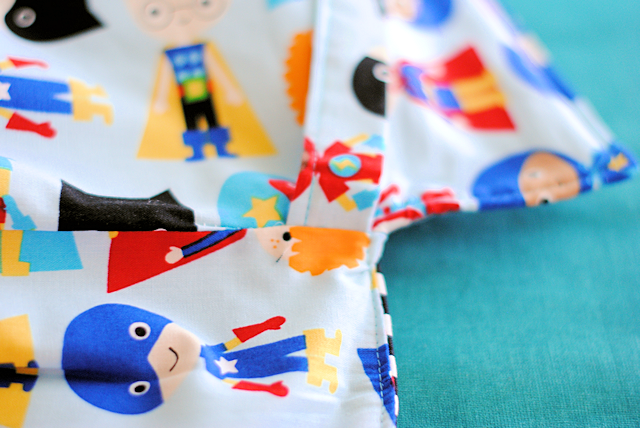 Do you need 1/2 a yard of your inner fabric AND a 1/2 yard of your outer fabric? Your instructions are so clear and precise, even I should be able to make these. These are so cute Amber! I love them!!! Where did you find thermal fabric. ? I get mine at Hobby Lobby. I know some of my readers have found it at Joann too. They had to ask for help finding it though. 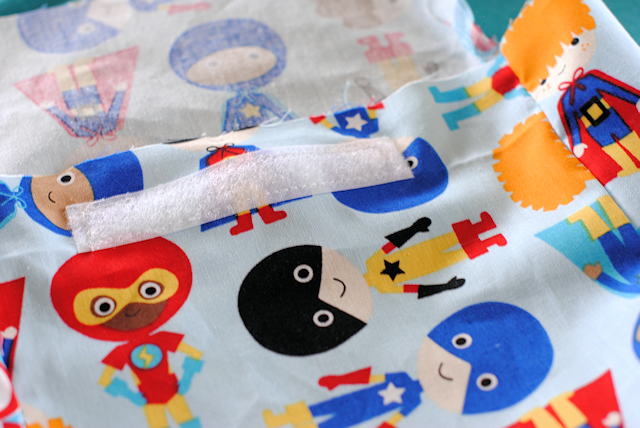 What kind of thermal interfacing do you use? Is it insulbright? CUTE!! cannot wait to make these for my girls :) Thank you!! Sew cute! I am making my messenger bag from your tutorial today. Thanks! LOVE these, Amber! 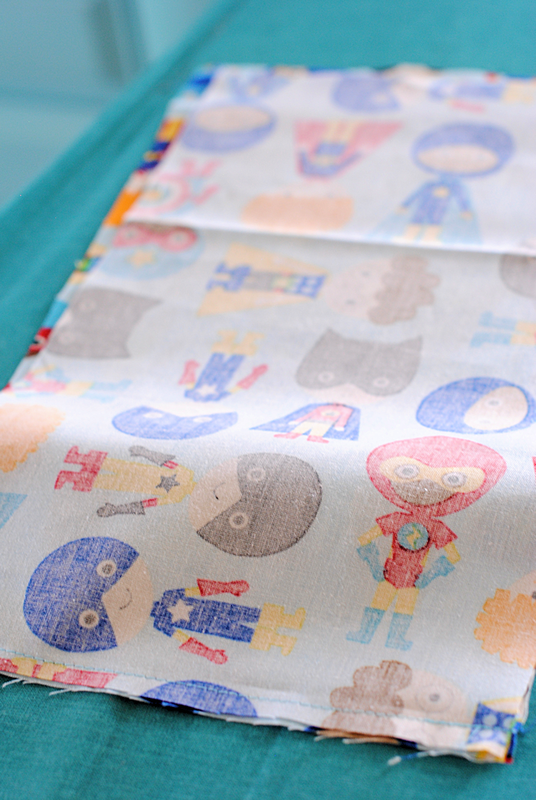 That superhero fabric is so stinkin’ cute! Great job! Finished one up pretty quickly last night. 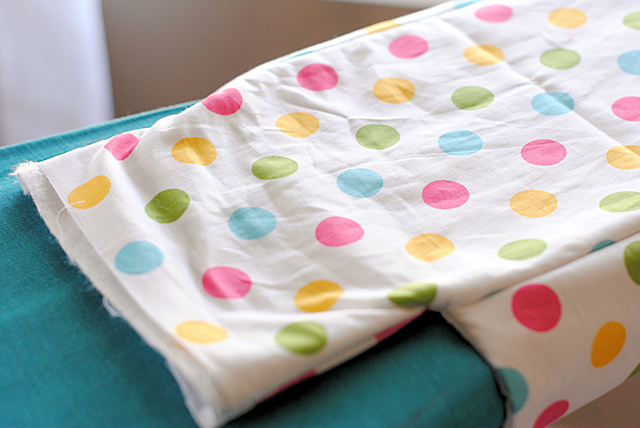 The only thing I have to say is you can make this with 2 fat quarters and a lot less insulated interfacing. This is considerably less than the instructions call for. Unless I did mine wrong. What is the dimensions of the finished product? I wish you did videos. I have no freakin idea what I’m suppose to do. These look like so much fun. 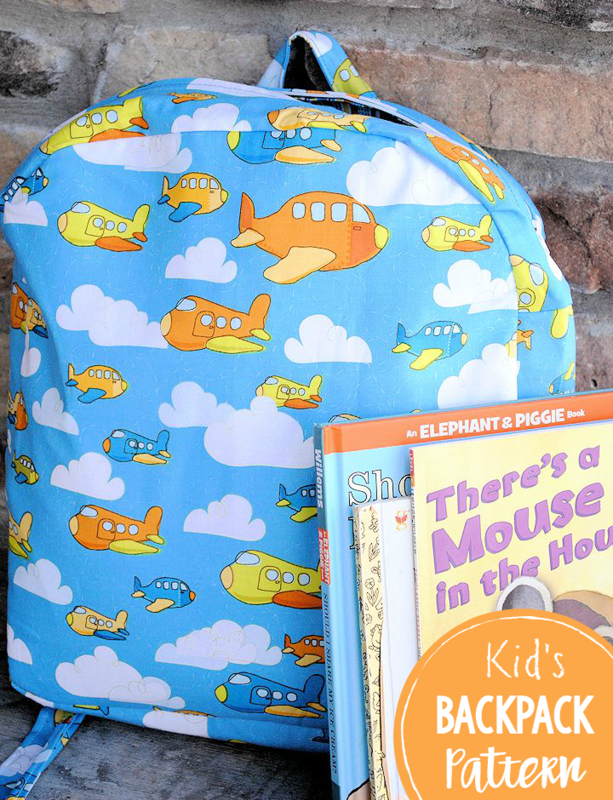 I would love to make this for my grandson starting kinder in two weeks using the Air Force fabric as his daddy is career AF. When trying to print the directions, it says that there are 29 pages! Sorry, I didn’t really make them printable. Maggie – If you do a print preview, you can see which pages have the info on them, instead of printing pages of comments also. I brought the computer to my sewing room and had the tutorial up while I was sewing. Does that keep your food cold/hot? If you put something in there like an ice pack it should. 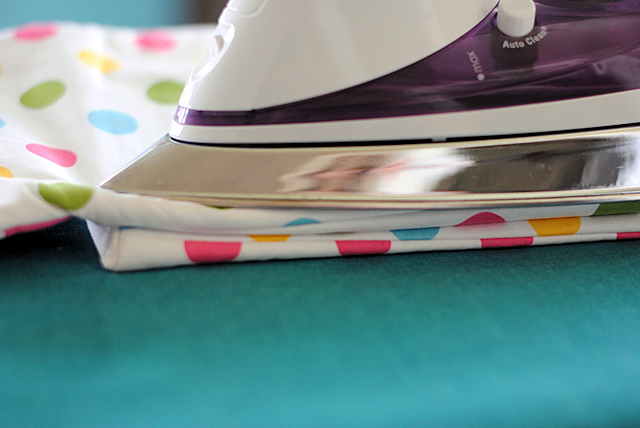 Did you wash your fabric before you started? I never do but technically you should. 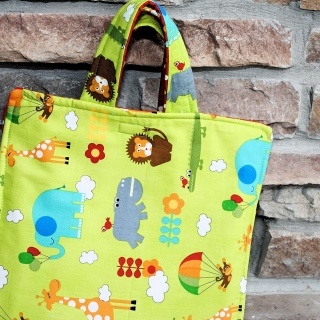 Ok so, Im doing this lunch bag and it says that i have to thurn the outter bag INSIDE OUT and stuff it into the inner bag that is with the insulated fabric facing me, OK. So I do it and when I turned it, its all backwards. The “liner” fabric is in the middle. Its main fabric, liner and then the insulated fabric. 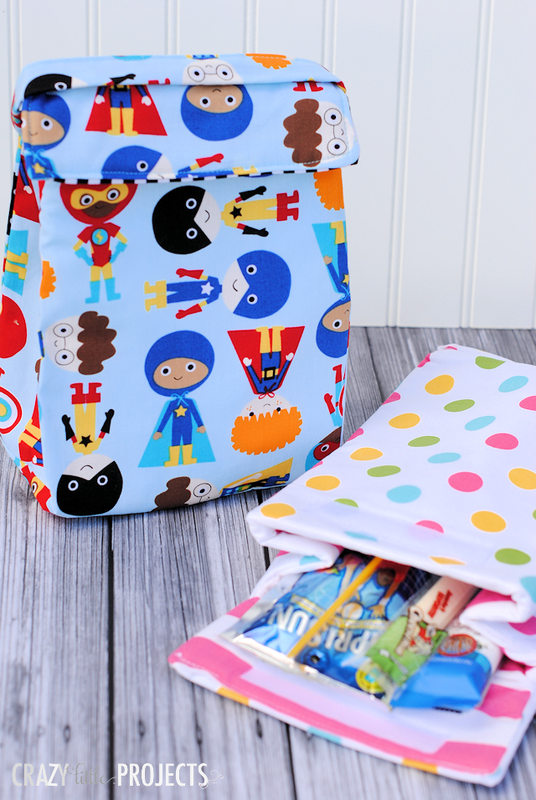 The lunchbox should be washable correct? Hey, this project is not just for kids. Many women here are making them for: the office, short trips by oneself, a quick lunch between friends, or while getting together to make projects . We love these. They can also be used as med kits on trips, game holders for trips or overnighters, makeup kits, small book or supply bags for school, quick comfy shoe or scuffs bag, etc. This is one hot little gift to make. Thanks. Hello! I have to do a class project where my group and I have to make a lunchbox that will keep food items hot or cold. I saw this, but will the lunchbox keep things hot or cold??? I really want to get a good score! The insulation should help it do that! Maggi, To print this or any other tutorial, you could copy and paste the info needed to a word document – provided there is nothing to say not to copy it!